Dr Douglas E Mazzuca Jr. D.O. is a board certified ophthalmologist joining the Mazzuca Eye and Laser team. HE graduated from Villanova University with a degree in mechanical engineering. Realizing that medicine was his true passion, he then went on to obtain his medical degree from the Philadelphia College of Osteopathic Medicine. Following in his father’s footsteps, he completed his ophthalmology residency training at the Philadelphia College of Osteopathic Medicine where he served as chief resident. 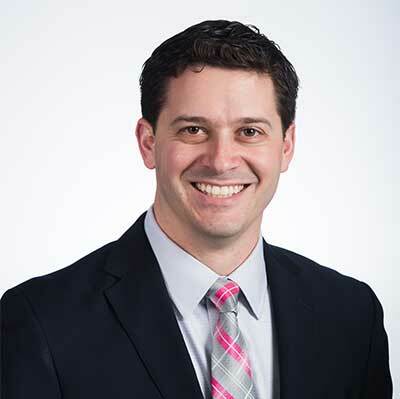 Dr Mazzuca Jr. also worked closely with various surgeons at Wills Eye Hospital where a good portion of his surgical and didactic training took place. During his residency he authored and participated in several research papers. Recently, he also won the best poster presentation at the 2016 AOCOO-HNS annual meeting. He is a member of the American Academy of Ophthalmology and the American Society of Cataract and Refractive Surgeons. Dr Mazzuca Jr. offers both medical and surgical treatment for a wide variety of ophthalmic disorders such as dry eye, glaucoma, cataracts, retinal and oculoplastic disorders. He is an attending surgeon the the Memorial Hospital of Salem County. Dr Mazzuca Jr. currently lives in Philadelphia with his wife, daughter, and son.